A full day of riding or several mini-trips rolled into one – create your own Railway Reserves Heritage Trail adventure. I have to confess, I thought the Railway Reserves Heritage Trail was going to be dull and boring. I heard the words ‘railway’ and ‘heritage’ and my mind conjured up images of the Midland line crossed with a railway museum. However one Sunday afternoon, Jarrad convinced me to give it a go by promising a quick ride – 10 kilometres there and back. And lucky he did. On that short Sunday ride from Bellevue to Darlington, I discovered the Railway Reserves Heritage Trail is not dull; it’s an interesting and well-facilitated way to discover the Perth hills. On the ride, we passed sweeping views of the city and rode through tunnels made by tall railway embankments. We discovered the multi-coloured rock face of Mountain Quarry at Boya, and I even found myself wanting to stop and read the history signage along the way. I was enjoying the ride so much that I decided we needed to continue to Glen Forrest, the next station along the trail. From here on, I was hooked. The following weekends, we completed the rest of the trail section by section, adding more wonderful scenery, like waterfalls, artwork, granite outcrops and spooky railway tunnels to the list. Some of the artwork on the trail. The complete Railway Reserves Heritage Trail is 59km and follows the route of the old Eastern Railway, forming a loop between Bellevue in the south and Mount Helena in north. An extension runs east to Chidlow and Wooroloo. The most popular choice is to skip the eastern extension and stick to the day-trip length 41km loop. The alternative is to break it up into smaller, bit-sized sections – like we did. The trail is mostly flat gravel, which makes for easy walking and riding. However, there are a few loose sections, so if you’re going to ride, a mountain bike or a bike with wider wheels would be your best choice. With that said, I rode the first section on a rattly old indie 500 and still managed to get by…just. Like any trail, Railway Reserves has its highs and lows. There are sections that will have you reaching for your camera, and others that are less inspiring – mostly the stretches of dry gravel and parrot bush. (I’ve always hated parrot bush). Normally, I’d say that’s part of the nature adventure experience, but my newly time-poor self has decided that its fine to fast forward to the best bits. So, if you’re short of time or new to riding, here is a ‘cheat sheet’ to help you skip ahead to the sections of trail that will give you the most bang for your bike ride. This stretch is a gentle uphill with plenty of natural loveliness along the way. As you ascend from Coulston Rd, there is a sweeping view of the Swan coastal plain. Just a little further, you’ll notice a sandy road with a stone toilet block – this is the entrance to Mountain Quarry. A popular abseiling spot; the colours and sheer height of the rock face makes this quarry well worth a look. If you’re feeling adventurous, take one of the many side trails that take you over the rocks and embankments. Another highlight of this section is the steep, tree-lined embankments as you enter Darlington. During the midst of summer, the tall Marris and Jarrahs keep this part of the trail cool and shady. In winter and spring, a brook runs along the trail giving life to little waterfalls and plenty of wildflowers. The ride into Glen Forrest is particularly pretty with wattles, petrophiles, native wisteria galore. Explore one of the little side trails for awesome wildflowers in spring. Stopping to admire the first kangaroo paws of Spring! Little waterfall just off the trail in Darlington. Listen for the sound of running water! Family Tip: The section between Darlington and Glen Forrest is perfect for riding with younger riders. It’s a manageable 2.5km one way and there is easily accessible parking, toilets and cafes at both ends of the trail. Plus, the downhill ride to Darlington is a lot of fun! In spring, wattle lines the trail as you enter Mundaring Sculpture Park. With a pub a both ends, this is a great stretch to complete before lunchtime. An easy, mostly down-hill section, the trail runs through a variety of vegetation areas – gravelly dryandra and skeoak forests, as well as green and shady marri forests. During spring, the trail bursts into colour with bright yellow wattle, orange coral vine and red kangaroo paws – Believe me, you’ll need to stop and take photos. Another bonus of this section is that it begins in the Mundaring Sculpture Park, which has a interesting art pieces, railway memorabilia and an awesome playground. Seriously, even this 29-year-old was tempted to get off her bike and have a play on some of the equipment! A few wildflowers showing their faces, despite the summer heat. Under the (John Forrest) bridge. This is by far the most popular and scenic stretch of the trail. The first point of interest is the Swan View Tunnel – WA’s oldest railway tunnel. This 400m cobbled tunnel is delightfully dark, damp and spooky, so it’s best to hop off and push your bike so you don’t ride into anything unseen..or otherworldly. Next, you’ll pass National Park Falls, an impressive waterfall that tumbles over bright red and ochre coloured rocks. As you head towards the John Forrest National Park picnic area, you’ll cross one of the railway’s original timber and steel bridges. It’s worth stopping and walking down beneath the bridge to get a sense of its height and scale. Your last point of call is Hovea Falls – yep, another waterfall. Unlike National Park Falls, this waterfall is low and wide, running over a large granite outcrop. Thanks to Perth’s record summer rains, both falls were roaring when I visited, however they do normally dry up during the hotter months. From here on, you can turn around and enjoy the wind in your hair as you zoom downhill – or stay a while and explore some of the other wonders in John Forrest National Park. The slightly spooky Swan View Tunnel. A majestic view of the National Park Falls. For more useful info and interesting history about the Railway Reserves Heritage trail, visit here. If you do check out the trail, let me know your favourite sections – I am always keen to hear a different perspective! While there are many places to begin the Railway Reserves Heritage Trail, I’ve pinpointed two of the most popular – Swan View Station and Mundaring Scuplture Park. If you’re a regular on the Perth hiking trails, you’ve probably noticed that mountain biking has exploded in Perth. Go anywhere near the hills on the weekend, and you’ll spot dozens of utes carrying bikes. Take your search online and you’ll find lists of clubs, chat forums, races and blogs dedicated to men’s, women’s and kids’ mountain biking. When something is as popular as this, you can’t help but be curious. And when you live with someone who loves and talks endlessly about the sport, it makes it even harder to avoid. So last week I decided that it was time I got on a bike and discovered what all the fuss was about. Needing somewhere that was beginner friendly and offered bike hire, we headed up to the trails around the Calamunda Camel Farm. While there are camels available, I was looking for something a little less alive to ride, so I hired a bike from Rock & Roll Mountain Bike Hire next door. Forty dollars later, I had a hardtail mountain bike, helmet and gloves – the essentials you need for half a day on the trails. This is the part of the story where I could tell you what I did, how the trails looked, or how a rock almost threw me head first into a tree, but that wouldn’t be very useful for my fellow newbie mountain bikers. Instead, I’m going to share a few tips that will make your first ride easier and even more enjoyable. Usually I wouldn’t recommend listening to the advice of a complete novice but these tips have come from my more experienced riding buddy, and after some thorough testing, I can assure you they do help. For even more useful tips, google ‘beginner mountain bike tips” and prepare for the avalanche of info! Lesson One: Get a feel for your bike. Before you hit the trails, spend some time getting used to riding your mountain bike. Change your gears up and down, test your brakes, ride over some rocks (slowly!) and bounce up and down on the suspension. If you know how your bike behaves, the less surprises you’ll have when you get on the trails. Listen to the lizard and start on the green trails! Lesson Two: Start on the green trails. Mountain bike trails come in three grades: green is for beginners, blue is for intermediate experience, black is for expert. If this is your first time, stick to the green. Yeah, yeah, I know you ride to work and feel really confident on a bike, but still start on the green. Green trails are relatively flat, but still have a few obstacles and twists to navigate. When you’re feeling ready give the blue trails a go, but for your bones’ sake, start on the green trails. Lesson Three: Get your bum off the seat. A bike comes with a seat so you should always sit on it, right? Wrong. When you’re going downhill on mountain bike it’s actually better to lean forward with your shoulders towards the handlebars with your bum two or fingers width off your seat. At the same time try to keep pressure off your hands. Like this. It’s called the attack position and it helps you to handle the bumps and twists of the trail better. Lesson Four: Look ahead on the trail. When you’re new to riding you’ll probably find yourself looking down at your front wheel instead of what is up ahead. It can be a hard habit to break but if you don’t look forward, you won’t be ready for the obstacles coming and that’s how you fall off. Remember, the direction that you’re looking is most likely the direction that you’re steering. Lesson Five: Keep your pedals level. When you’re going downhill, try and keep both pedals at a level height. See what I mean here. If you have one pedal pushed right down you’ll clip rocks, tree roots and other things that might throw you off balance. 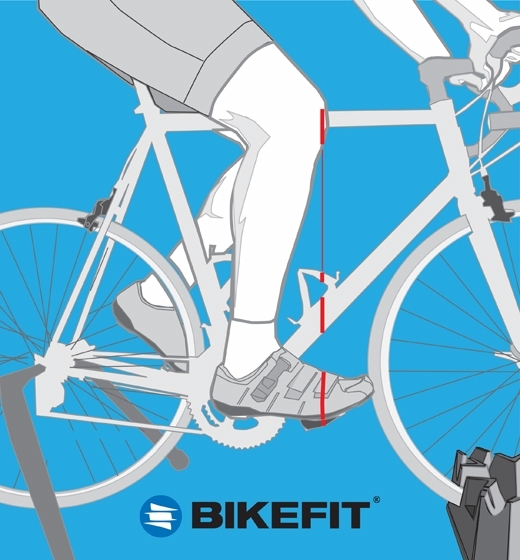 It will take some practice but this position will help to make the ride safer and easier. Lesson Six: Hold the handlebars not the brakes. When it’s your first ride and you’re a little nervous, you’ll most likely want to grip the brakes as tights as possible. It might feel right but if you ride like this, you not only have less steering control, you’ll also have a tendency to brake too hard when you hit a bump and that’s how you can end up over your handlebars. Instead, trust your reflexes and lightly hold your handlebars with only your index finger on the brakes when needed. Lesson Seven: Stop and go a slow as you need. Your first ride is for fun not to master the sport. It’s fine to get off and walk around obstacles. If someone is coming up behind you, there’s no need to speed ahead, just move to the side and let them pass. Green trails are for beginners so feel free to be as beginner-ish as you like. If anyone does give you attitude, you have my 100% support to give them the finger. While I know it’s totally cliché but the eighth lesson is to just get out there and give it a go. Not only is mountain biking an adrenalin rush it’s a great way to see a different side of the Perth bush. I loved my first ride, and I’m definitely keen to hop back on the bike and do it all again. Hopefully I’ve inspired you mountain biking beginners to give it a try. If I can do it, I’m sure you can too. If you do, share your lessons and trail tips! On my way to the trails. The Calamunda Camel farm is the most convenient place to park to access the trails and bike hire. It’s to find on 361 Paulls Valley Road, just off Mundaring Weir Road.